A insurance and risk assessment is the first step in insurance program design and underwriting, and should be the initial focus of captive design and feasibility study work. Listed below are many of the types of risk a captive can address that our analysts evaluate exposure to in the captive design phase of client engagements. We begin a risk assessment by requesting completion of this confidential client underwriting questionnaire. that you likely are self insuring significantly more risk exposure than you realized – our experience suggests nearly every business neglects risk analysis and control to some degree or another. You may have been lucky for decades with good loss experience and minimal unexpected litigation. 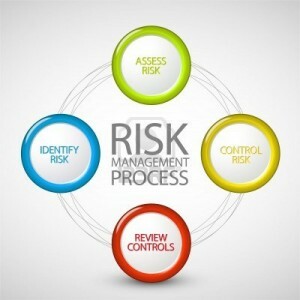 Our risk assessment highlights your exposure to material unexpected claims, litigation, administrative enforcement actions and other events that could cause serious losses and other business disruption expenses if you continue to neglect the risk assessment, control and mitigation activities captives are designed to formally address. Many businesses failures, even subsequent personal bankruptcies, are direct consequences of risk management neglect. you will discover your commercial insurance portfolio has extraordinary similarities to Swiss cheese, with greater holes and gaps and limitations in coverage than you were aware of. Designing a captive involves determining the types of insurance it will offer, the fronting, reinsurance and other insurance business transaction elements it will enter into. See the list below of many types of customized insurance coverage captives can offer. These lists of course are not all inclusive. When we are retained to design and form your captive, we consider all possible types of policies and can customize them as necessary to meet your specific goals and objectives. 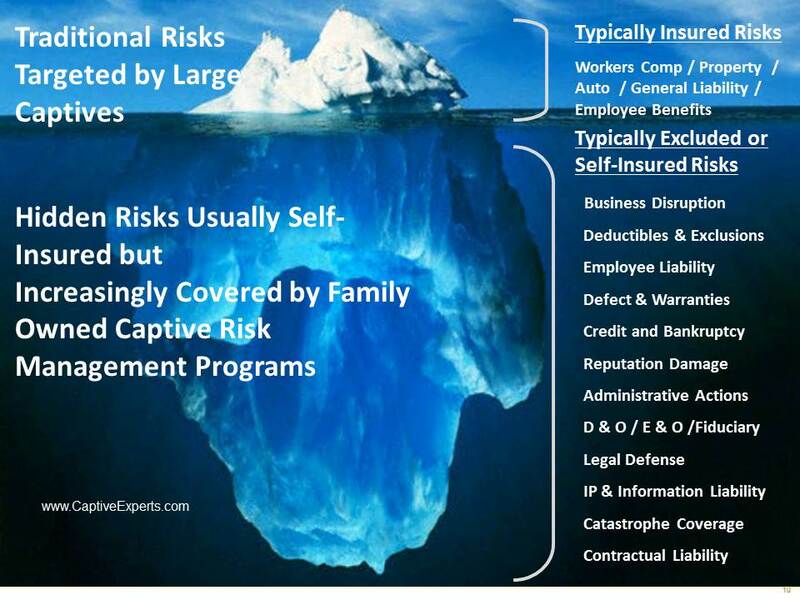 These are some of the many risks well suited for a captive insurance company program design. A captive has the advantage of your insured operating businesses paying premium to a CIC entity you own, not to an unrelated insurance company. If losses are controlled, your CIC can building up investment asset to protect against loss on a tax advantaged basis potentially with wealth protection and transfer benefits incorporated as well. Your CIC can also access the wholesale reinsurance marketplace where cost of coverage is often much lower than direct commercial insurance. Learn more about the underwriting and actuarial work scope required to design and form your captive, and the associated costs, by clicking here.